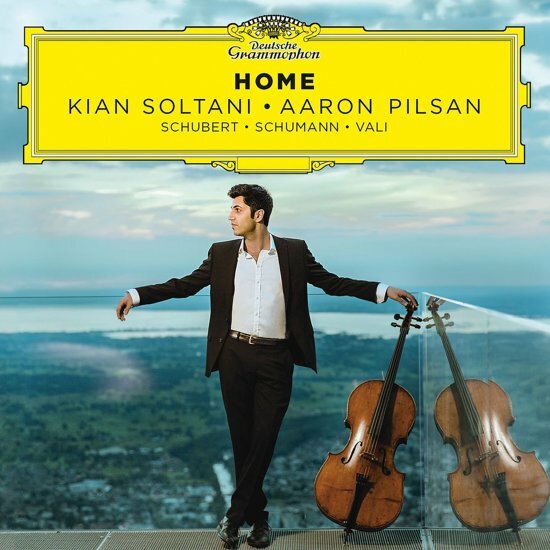 Payvand.com - The German Classical Music Records Lable Deutsche Grammophon has released Kian Soltani's debut album which contains works by Schubert, Schumann and Persian composer Reza Vali. The young Persian-Austrian cellist Kian Soltani was born in 1992 in Bregenz. His parents Khosro Soltani and Farzaneh Navai used to work with Tehran Symphony Orchestra for a while and shortly after the Islamic Revolution in Persia moved to Austria. "I've always felt at home in Austria", Kian says. "And yet, the Persian side of my family gave me a chance to grow up with two cultures." Bringing together Austro-German Romantic works and contemporary Persian music, Soltani's debut album, "Home", expresses that sense of being rooted in a dual heritage. His pianist is Aaron Pilsan, whose background has parallels with Soltani's. They have already performed some of its repertoire live in their concerts in Europe. According to a Press Release by Deutsche Grammophon, "On Home, the cellist travels from Romanticism, with its desire to emulate European folk music, to a living composer's take on Persian folk traditions. Beginning with works by Schumann and Schubert - "I grew up with them and I feel at home with this music" - he rounds off the album with music by Reza Vali, a friend of the family who, like the Soltanis, emigrated from Iran. Vali's 'Persian Folk Songs' was written to commission and premiered by Kian Soltani and Aaron Pilsan in May 2017.